12 Stonybrookâs massive windows bring the sunshine and nature of the story book setting right inside. 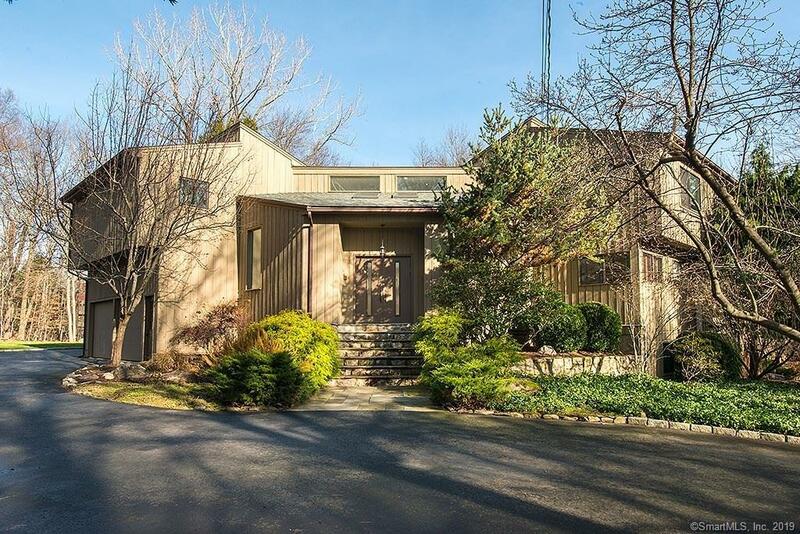 Nestled in the Old Hill neighborhood, this 3,300 sqft Contemporary is set on almost 2 acres of flat land. The interior is bright and crisp, with the massive living room anchoring the home â 2 story windows and vaulted ceilings provide a huge entertaining space that spills out onto the wraparound deck. And between the formal dining, updated open kitchen and dining area there is great flow for both daily life and entertaining! Upstairs has 3 family bedrooms and very spacious master suite. While the lower level rounds out nicely with another bedroom/bath, 2 rooms for flexible use and a super family room/lounge area with fireplace and backyard access. There is a 2 car garage. Gorgeous grounds, set at the base of a quiet cul-de-sac, 12 Stonybrook feels like a retreat, yet its only a few minutes to schools, downtown, transit and all Westport amenities!